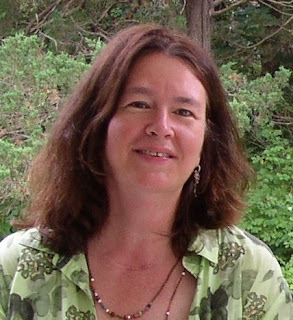 WHAT FICTION MOST INFLUENCED YOUR CHILDHOOD AND WHAT EFFECT DID IT HAVE ON RUBY'S FIRE? I have always loved fantasy. An early favorite was Pippi Longstocking because she was a wild girl with a freaky imagination and zero fear. She carried a monkey on her shoulder and wasn’t afraid to wear outrageous clothes. I also loved the Narnia series. Lewis’ worldbuilding and array of characters such as the oppressive white queen and regal lion, Asian lit my brain on fire. Images of the children being served Turkish Delight and traipsing through the supernatural, snow-filled forest will forever be lodged in my brain. I appreciated fantasy villains for their wily ways and misunderstood pluck: the angry red queen in Alice in Wonderland, Captain Kidd in Peter Pan, and the wicked, wicked witch in The Wizard of Oz. Later, when I was in seventh grade, I was obsessed with Ray Bradbury’s Martian Chronicles. His tales about the first settlers on Mars and the golden-eyed, floating Martian natives in distant cities in a shimmery alternate reality that only a few settlers could see, captured my heart. Bradbury’s writing was lyrical, unnerving, on the far edges of exploration. Of any author, he inspired me the most. I strive to inspire, to excite, to entertain through my speculations. 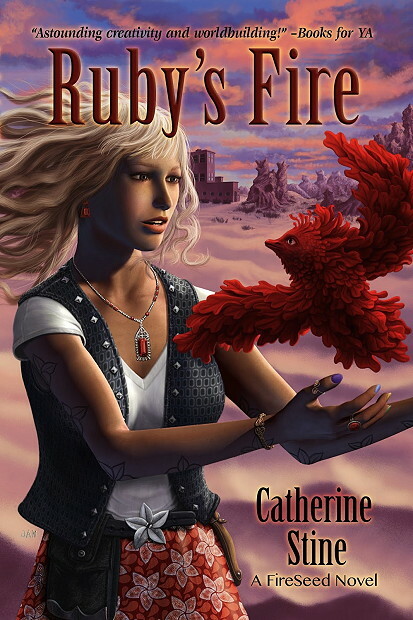 In Ruby’s Fire, I wanted Ruby’s perilous journey in the desert with her little brother, Thorn to touch hearts as Bradbury’s characters did to me. And I worked hard to craft Ruby’s desperate struggle to stay afloat at The Greening, a strange boarding school she ends up in. It was fraught with handsome, yet hostile and rampaging teens that had always fended for themselves in a forbidding environment, just as Bradbury’s first settlers on Mars were faced with extreme hazards. Bradbury’s writing exudes romance and mystery; and Ruby finds romance too, even in the craggy rocks of Skull’s Wrath. 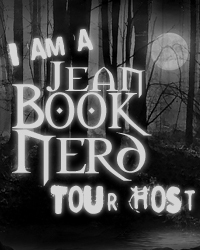 Thanks for hosting me, Jean. I think sci-fi the sky is the limited with your imagination. Anything can happen and anything can be created. Thanks for the giveaway. I love the possibility of new and exciting things. Let your imagination run wild. I love all the creativity of sci-fi. It's amazing that authors can come up with some of the crazy things they do, they must have the most amazing imaginations! I have to agree with the importance of imagination in sci-fi. I don't think I could come up with half of the things authors do. It's great. Thanks! The wonderful places it takes you. The sky is not the limit.